Welcome to Episode 89 of HubShots! On the sales side, respondents tell us it’s getting harder to elicit a response from a prospect, close deals, and prospect for leads. 19% also say they’re struggling to incorporate social media in their sales process, and 13% think using sales technologies is now harder than it used to be. Specifically in ANZ we found the 2nd challenge of avoiding discounting/negotiation interesting. This came up in our WhatsApp group – how to name workflows. This is important because as the number of workflows grows it can be difficult to find workflows from a year ago unless they are helpfully named. Got some good tips from HubSpot and Justin in the group eg using pipes in the naming. 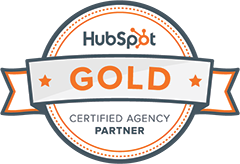 I had set up a very efficient email filter that was catching HubSpot lead notifications for other portals and skipping the inbox – but mistakenly caught leads for our agency and pushed them to folders. Doh! Was missing out on leads! But it is getting updated regularly and is almost consistent now. The result of being too afraid to take risks because management thinks it will result in ‘brand dilution’. I am giving these suggestions based on it being physical! Set expectation with an email to announce that you are so excited about the new product that is launching. Use retargeting on customer base so they see glimpses of the new product. Tease photos in emails to customers show a bit of the product or some of the development you have done. Create a video of people talking about the product but not mentioning what it is, may be highlighting how it has helped them in an intriguing manner! 2 months before launch have an event to announce it where people can see/experience it. Give the product to potential vocal/well known customers who can use it and share and help you promote it at launch. Start product pre-sales by taking a refundable deposit post announcement. Have customer experience events after launch so people can experience, try and talk about it. Send SMS to customers creating expectation. Australia now has its own Think with Google Site, Insights you want. We should have put this in Opinion of the Week!